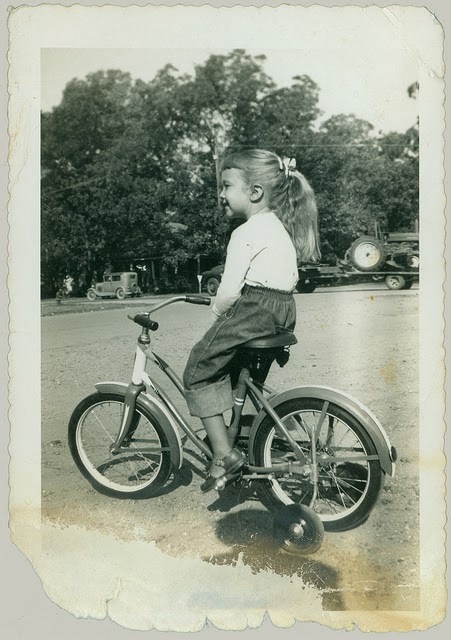 When I was six years old, I received a beautiful blue, Schwinn, two-wheeled, bike for my birthday. I couldn’t wait to take it out on the rocky side road next to our home. Fortunately for me, it came with training wheels. I took learning to ride this bike seriously, and couldn’t wait for the day my training wheels were taken off. When the big day finally arrived, I proceeded to balance, wobble, and ride my bike up the road. I remember the big smile I had on my face before the front wheel hit a very large embedded rock, and abruptly stopped my forward progress. Up and over the top of the handlebars I went. I ended up with a cut on my lip and an assortment of bruises, but refused to have my training wheels reattached. After all, I had experienced moments of balancing bliss. A few more attempts, and I had the balance thing figured out. I’ve been working on balance and moving forward ever since. These days, creating a balanced life seems to revolve around time; two things I strive to have more of. Closely related, it is difficult to have one without the other. Like time, balance changes in a split second. It takes constant consideration on my part, a vigil of sorts, to keep balance in check. I equate being out of balance to attempting to ride my bike, without training wheels, and continually falling over. If I am not making the time and doing what is necessary for me to create balance, I am not moving forward. When I am not moving forward, I am not happy. See how that works? In my life, balance includes taking the time to do what is necessary for my health and well being, first and foremost! When I do this, I can be a better me. While life doesn’t come with training wheels, I am discovering it is up to me to set my own standards in order to maintain balance in my life. I can allow everyone else to carve out a piece of my time, a piece of me, or I can choose how I want my time allocated. Unless I set my own standards for living, I will ultimately be out of balance. With each little discovery I make, I am finding the balance that works for me. I am finding the key to happiness, with or without training wheels.